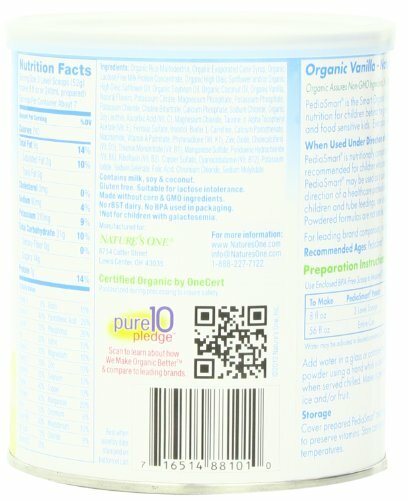 USDA Certified Organic and Kosher DAIRY Vanilla Complete Nutrition Beverage in dry powder for kids ages 1 to 13. 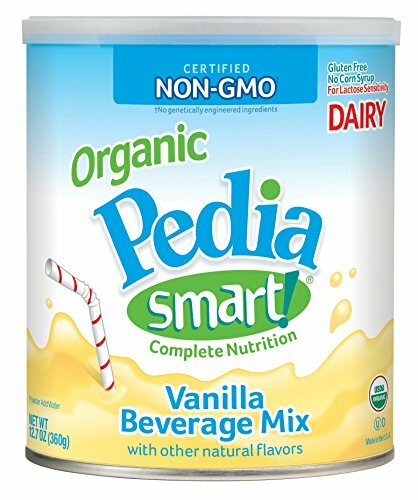 PediaSmart Dairy is the Smart Organic Choice offering excellent nutrition as a healthy beverage, quick breakfast and for a child in need of added calories. 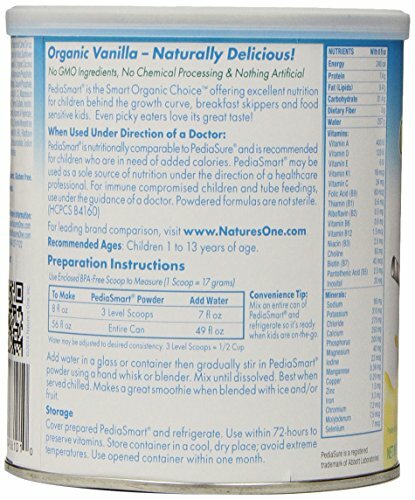 PediaSmart Dairy is the ONLY organic dairy mix on the U.S. market offering complete organic nutrition. 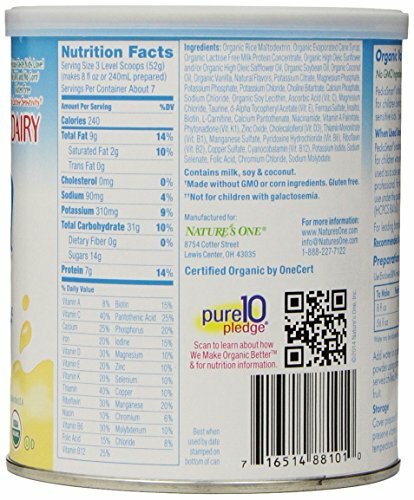 This beverage has been formulated to contain all essential nutrients such as protein, fat, carbohydrate, vitamins & minerals and can be used as a complete source of nutrition under the supervision of a healthcare professional. 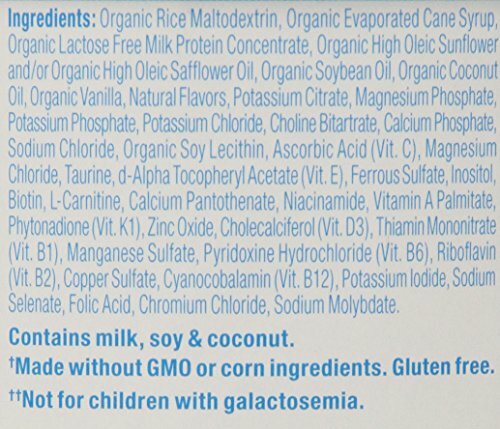 Consult your healthcare professional for use with children under 2 years of age.